It’s two weeks ‘til Easter weekend – cue us eating our body weight in chocolate, having an epic Easter roast dinner, and enjoying a four day weekend! Easter: we welcome you with open arms! And all these thoughts of chocolate have not only made us very hungry, but have also got us thinking about our favourite Easter gifts! Chocolate is, of course, a given… but if you’re looking to buy something a bit different as well, check out our top 12 alternative Easter gifts below – including Easter bunnies and quirky egg cups! These egg-squisite egg cups will add a ROARsome twist to your breakfast, and are set to delight both children and adults alike! Why not pop a Creme Egg in them for the occasion?! If you love Easter Bunnies then why not add an adorable lighting feature to your home with the White Rabbit Lamp? This inquisitive bun has been given a designer edge with its origami-style folds and straight lines. Seen here with the adorable lop-eared house bunny, Luna! Add a llama without the drama to your breakfast table with this adorable egg cup! This gorgeous porcelain Llama Egg Cup has taken a sabbatical from trekking, and is here to deliver your breakfast / Easter eggs in super chic style! A fun novelty Easter gift! This super cute rabbit jewellery stand from Umbra utilises the shape of the rabbit’s ears to form two handy ring holders. You’ll struggle to find a cuter desk companion than this adorable animal desk tidy! This beautiful bunny would make a wonderful alternative Easter treat, and will have your colleagues hopping with jealousy! This adorable ceramic rabbit has a cute little lamp as a tail! An ideal gift for animal lovers and children, this blissful bunny makes the perfect nightlight – especially as the LED light stays cool to the touch! She recently visited us in the Red Candy office – and really liked eating our chocolate! 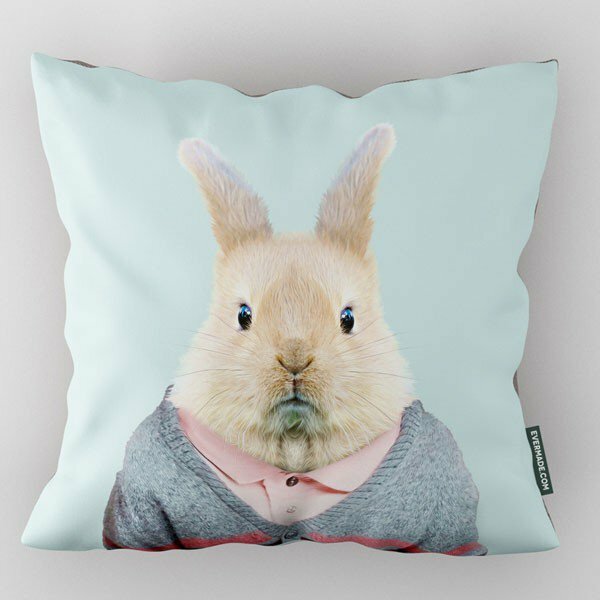 This adorable critter could well be the Easter Bunny in his day-to-day attire – he doesn’t spend his days waltzing round in an Easter bonnet you know!! With his v-neck cardigan with a pink polo shirt underneath, he’s clearly a sensible sort of chap with a touch of nerdy cuteness! Crack up your guests with these novelty bearded egg cups by artist Phil Jones! The Bernard & Samuel Beard Egg Cup Set will raise a smile at any occasion! 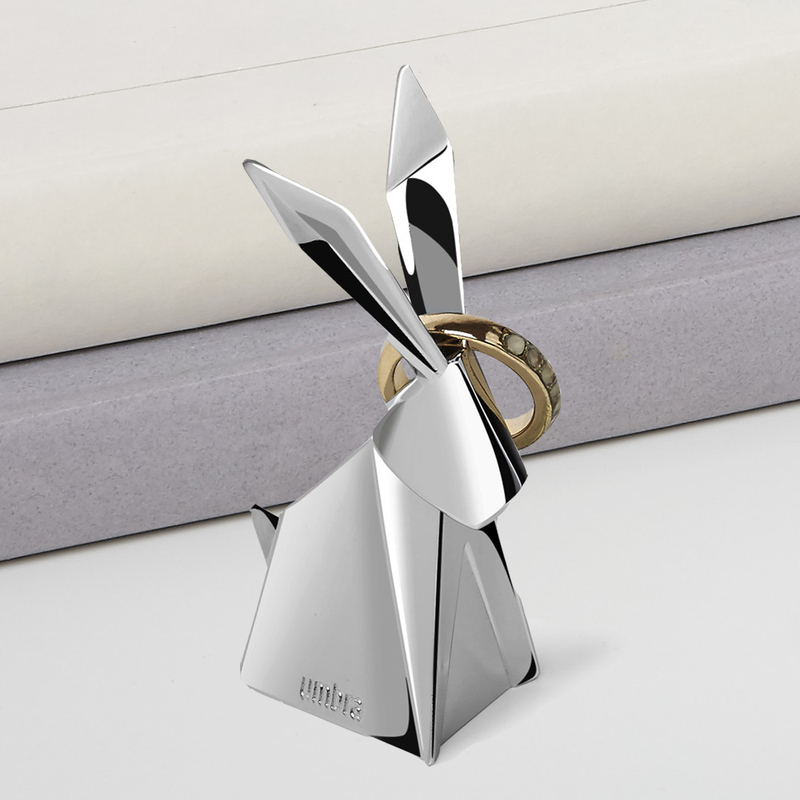 Keep your rings safe in adorable style with the Umbra Origami Ring Holder – Rabbit! Designed to look like an origami paper rabbit, this stunning cast metal version will keep your most treasured rings safe! This cute critter’s ears and tails double up as handy ring holders. This aptly named cotton ball dispenser is a cute ceramic rabbit which comes complete with his own fluffy cotton tail! Simply fill this helpful bun with cotton balls; leaving one to act as the fluffy white tail as a quirky finishing touch. And since it’s Easter – why not fill him with Easter eggs instead? Add a fun twist to your breakfast with this novelty knight egg cup from Luckies! Dressed in a suit of armour, Arthur gives a whole new meaning to the phrase ‘egg soldiers’! Add some fun to your breakfast with the Sumo Egg Cups from Luckies of London! These novelty egg cups are set to battle it out for first dibs of the egg soldiers – whilst you egg them on!